Skiing is a kind of sport in which a skier glides himself/herself on the snow with the help of skis. It is one of the most popular snow sports all across the world and myriad of people get attracted to it for diversity in its styles. Skier is a person who is involved in the sport or activity of skiing. Skiers use skis to move on the snow. Ski (plural: skis) is one of a pair of long narrow pieces of wood, metal or plastic that a skier attaches to his/her boots in order to glide freely on the snow. If we look back into the history, we will come to know that skiing was first introduced as a means of transportation system many centuries ago. It was in Norway and Sweden where long skis were skillfully shaped from wood and mostly utilized to pull different objects or things with sled from one town to another via woodlands and farmlands. Somewhere in the 18th century, Swedish army was trained to use skis and later the first ever ski competitions were held. Presently, several other means has been devised to move on the snow and skis are not more the compulsion, but these are yet preferred by many for recreational purposes. One important breakthrough is the inclusion of ski event in the Olympic Games. It was in 1924 when the first Winter Olympic Games were held. The statistics provide by the Ski Area Management (SAM) reveals that in America alone, there are over 10 million skiers. 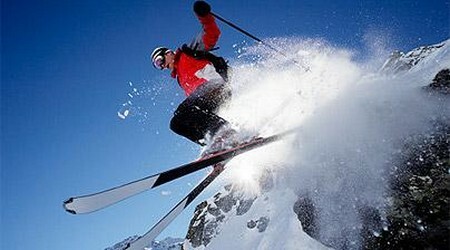 Alpine skiing is a kind of skiing in which the downhill racing abilities and coordination of the skier are challenged. Alpine skiing one of the most popular winter sports among others with more than hundred resort communities all over the world. The alpine skiing began to gain popularity when ski elevator infrastructure was introduced at mountain resorts to drag or pull the skier back on the top of the mountain slopes in the cross-country skiing. Ski elevator infrastructure enables the skier to enjoy skiing without getting tired from climbing up the slope again and again. So we can conclude to say that wherever the combination of snow, mountain slopes and a sufficient tourist infrastructure is available. A type of skiing which is carried out in wild which means at places where there are no lifts, circuit, lodges, patrol or any other tourist infrastructures. It is all about your basic skills, abilities and not to forget nature. This type of skiing isn’t for amateur skiers because you need to be highly skilled to carry out backcountry skiing. It is really a enjoyable sport for the one who have ample knowledge about the skiing along with professional skiing skills so that you will able to control yourself while skiing downhill on the wild slopes. If you have the knowledge and skills, you will certainly enjoy your backcountry skiing experience. Cross-country skiing is another type of skiing popular among the skiers of all ability levels. To promote cross-country skiing, events are designed for the Special Olympics so that players with all the ability level participate in them. Apart from these events, there are certain other events which are introduced and are specially designed for the players with low ability level so that they can get coached and compete in the amateur events. These amateur events help them to enhance their skills so that they will participate in professional events later. Cross-country skiing is a tough snow sport which requires maximum participation of all the major muscles of your body and is therefore known to be among the sports, i.e. rowing and swimming which are useful in burning maximum amount of calories present in the body. You might have got a hint from its name that it is a type of skiing that involves extreme conditions rather than normal. For instance, in extreme skiing conditions are quite complex such as steep slopes, hard aerial maneuvers, large drops off of cliffs, flips and tricks are involved which skiers have to perform at places of which they are not familiar with. Heliskiing, out-of-bound skiing, and cross-country skiing with chainsaw are often considered as extreme skiing. Glen Plake is a popular extreme skier involved in stylish Mohawk since 80s. Like any other sporting event, extreme skiing has also gain ample popularity among the majority of the masses and World Championships are now held in this particular skiing style. Though, it is a complicated form of the skiing, it is still liked and practiced by skillful skiers. Freeskiing is another type of skiing which involves some acrobatic stuff, i.e. skiers try to achieve as much airtime and perform tricks as many of them likely to be possible. 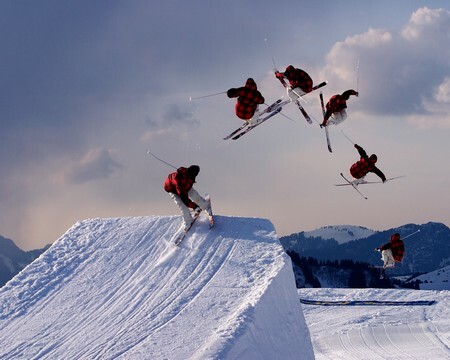 Freeskiing is pretty much of an acrobatic stuff which is adrenalin inducing such as off-axis front and back flips, spins from 360 degrees to 1080 degrees, taking off and landing switch (backwards), helicopters, grabs and extensions. Freeskiing is a recent phenomenon that is attributed to the use of energy which can be seen in the events like snowboarding, inline skating, skateboarding and so on. The moves and tricks perform in these events are limited to individual skiers. It was in 1930s when freestyle skiing was first introduced by Norwegian skiers. Freestyle skiing began when the Norwegian skiers started showing some incredible acrobatic tricks in alpine and cross-country skiing. These acrobatic movements were then exhibited in many of the non-competitive professional events in the United States which were later given the name freestyles. Around 1950, Olympic gold medalist, Stein Eriksen introduced the aerial skiing. Freestyle kept getting fame in the coming years, especially in 60s and 70s when it was commonly referred as ‘hot-dogging’. Being freestyle in nature, there were no hard and fast rules set for the skiers and was also risky. It was in 1974 when freestyle was introduced by John Johnston in Canada. There are more than thirty countries where active competitions are held for freestyle. However, this style of skiing officially accepted by the International Ski Federation (FIS) in 1979 and the federation introduced some new rules and regulations concerning the skiers’ certification and jump techniques with a view to minimize the risky factors connected with freestyle events. The first ever World Cup event was held in 1980 followed by first World Championship in Tignes, France in 1986. Heliskiing is related to alpine skiing in which a helicopter is used to obtain altitude rather than ski lifts. Heliskiing is a type of skiing which allows the skier to ski off-piste from any point (taken as starting point) in contrast to the regular fixed ski lifts. The use of helicopter makes it possible for the skier to ski at remote and unreachable places. Heliskiing is often associated with extreme skiing because of the risks involved in it such as avalanches and trees and rocks that may come as an obstacle during skiing. Helicopters used in this type of skiing have an exterior locker installed in it for storing skis and other related equipment. Different people have different types of opinions regarding heliskiing. Some people appreciate it while other views it with mysticism, or fear. Heliskiing is all about plenty of snow and that’s all. Ski jumping is another form of winter sport in which skier has to jump in order to cover a certain amount of distance. The points are based on the distance covered by a skier. There are two types of ski jumping, i.e. one practiced on snow skis and second one is practiced on water skis. In both the types, the points are awarded on the basis of distance covered by a skier in the air. Ski jumping events are based on point system where points are awarded to each participant on the basis of distance and style and in the end both distant points and style points are combined to rank the standings of each of the participant. 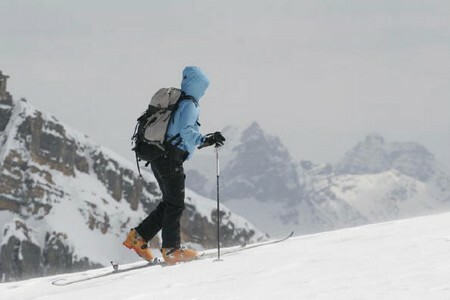 Ski mountaineering is a type of skiing in which skiing techniques are combined with mountaineering techniques. In ski mountaineering, the ski mountaineers climb up the slopes which are almost impossible to climb otherwise. Ski mountaineers make use of different mountaineering equipments such as crampons, ice axes and ropes. 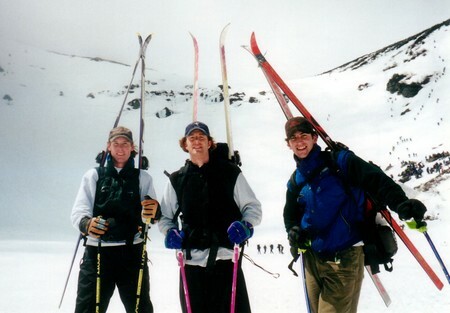 Skis are strapped on their backpacks. Newschool skiing is a type of freestyle skiing in which skiers perform different tricks like those of aerials or moguls. It is thought by many newschool skiing promoters that aerials and moguls originally don’t have anything to do with the development of freestyle skiing. Newschool skiers are normally t terrain parks where they are busy skiing and demonstrating to the new skiers that skiing is more than just skiing downhill. Snowboarding is among other winter sports which is gaining popularity. Snowboarding is more a board sport than skiing. However, snowboarding got its inspiration from skateboarding and surfing. Snowboarding make use of the equipment like snowboard, snowboarding boots designed in a way to strap the board to them, and snowboarding specific winter clothing. Snowboarding was included in the Olympics games for the first time in 1998. Apart from Olympics, there are certain other events held such as annual European and U.S. Open Snowboarding Championships, the Winter X-Games etc. Like many other snow sports. Snowkiting is also gaining fame among the winter sport lovers. It is often linked with skiing and snowboarding and is a popular winter sport in Austria, Norway, western United States, Switzerland and Sweden. It is a board sport incorporated with the airfoil and techniques used in kitesurfing along with the footgear and gliding surface used in snowboarding. A skier can use snowboards, alpine skis and telemark skis to practice snowkiting. Previously, foil kites were most frequent in snowkiting, but with the passage of time water gears tubekites begin to be used by the skiers. It is essential to practice snowkiting with care because it can be dangerous like other snow sports such as kitesurfing. 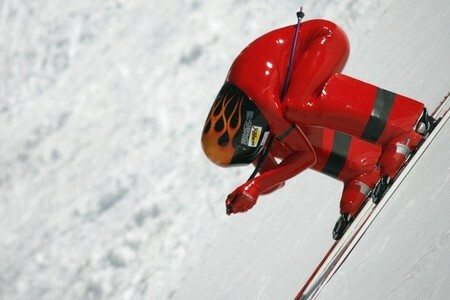 As the name suggests, speed skiing is something that is related to speed. In this sort of skiing, the skier glides down on a slope trying to attain maximum speed with which he/she will glide downhill. It is a gravity that allows the skier to attain the speed. It is assumed to be the second fastest non motorized sport form. Speed skiing is all about control that how you glide on the snow to attain maximum speed. Telemark skiing is known to be the oldest form of new sport in world. For most of the people telemark skiing is one of the most rhythmic and flowing way to move down on a snow packed mountain slopes. Touring skiing or Ski touring, ski mountaineering, ski randonnee, and alpine touring are all the same. It is a snow sport in which a special kind of equipment is used to climb up the mountain and no ski lifts are available. The equipment used in the touring skiing includes free heel and skins. A free heel is used for fluid, or walking like movements while descending passing over horizontal slopes. Skins on the other hand are made up of Mohair or Nylon which are used to provide solid grip to the skier and avoid him/her from sliding backward. The process of descending the mountain on skins is known as skinning. Skins help the skier to climb the slopes up to 25 degrees conveniently. However, steeper slopes such as 35 degrees are climbed with a succession of traverses connected by kick-turns or conversions. The slopes with even steeper angles require having skis strapped up to a specially designed touring rucksack along with crampons. 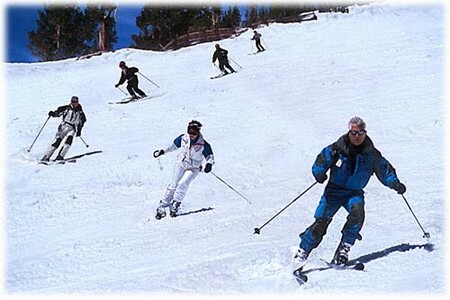 These are some of the most common types of skiing which people enjoy in different parts of the world. Sporting on snow has always been a great experience. If you are snow sport enthusiast, it is important for you to have enough knowledge and skill before indulging yourself in a skiing that can bring injuries to you.